I only have a couple of days left of RIP season and quite a few reviews to catch up on so this week's posts will be short and sweet (well, as sweet as murder and mayhem can get)! 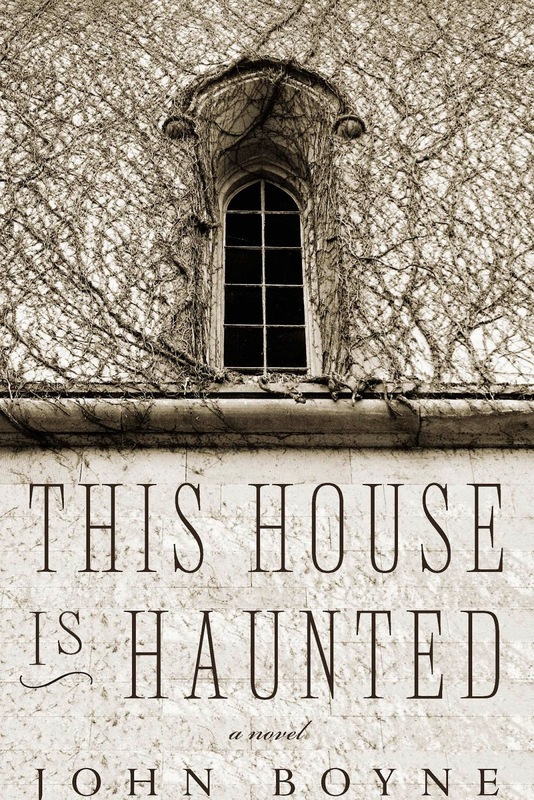 As someone who has read many Victorian ghost stories (good and bad), I found This House is Haunted by John Boyne to also be a strong classic ghost story, despite being published only last year. A young woman, Eliza Caine, caught up in the grief of a sudden loss, seeks to change her situation by leaving everything she knows, heading to Norfolk, and becoming governess to some children. From the start, things are not as they seem and eventually Eliza sets out to find out the true history of the house and the family. What she finds is not pleasant but her own good nature and family ties help her in the end. I wouldn't say that I loved this book because there was nothing that was exceptional about it ... but, it was still a pleasure to read. It was a good, solid ghost story. This book reminded me of the books of John Harwood, without the more sordid parts. I have no complaints other than the fact that Eliza seemed pretty slow to catch onto things at first. Thankfully, she stepped up her game by the end and even became a bit crafty. Good job, Eliza! I GET JOHN HARWOOD AND JOHN BOYNE MIXED UP. Um, and not to criticize, but this post is not helping with that situation. LOL - I totally added the John Harwood sentence at the last minute. I should have left it out so as not to confuse Jenny. This one sounds excellent for the RIP theme. I wrote three reviews in one post today to get mine done before the end of the month. This one caught my eye because I've read/listened to a few Boyne books. Well, the cover and title caught my eye as well. But...neither of the other ones I read were really remarkable (though nicely written), so boo. You are an RIP rockstar! Same on this one, nicely written but not really remarkable. I'm not sure if I'll read more Boyne or not. I did not get to this book during RIP, but I'm still hoping to before the end of the year!